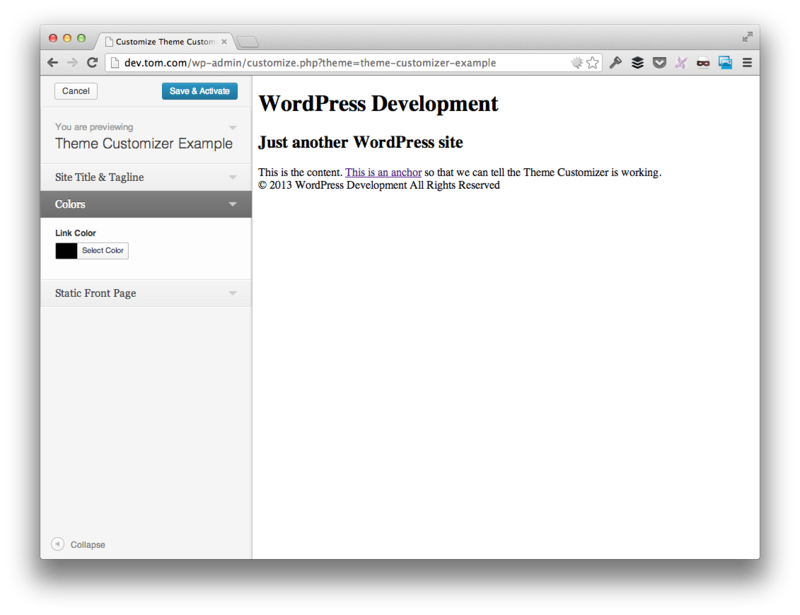 y now, we’ve taken a look at what the Theme Customizer is, how it works, and the components that are unique to it. We’ve even discussed how options are serialized into the database so that we may retrieve them later when using our theme. To that end, it’s time for us to begin doing our own work with the Theme Customizer. In this article, we’re going to take a look at transports, how they work, and the difference in their two primary methods. Additionally, we’re going to introduce our own control into one of WordPress’ existing sections and see how it works with the various transport models.